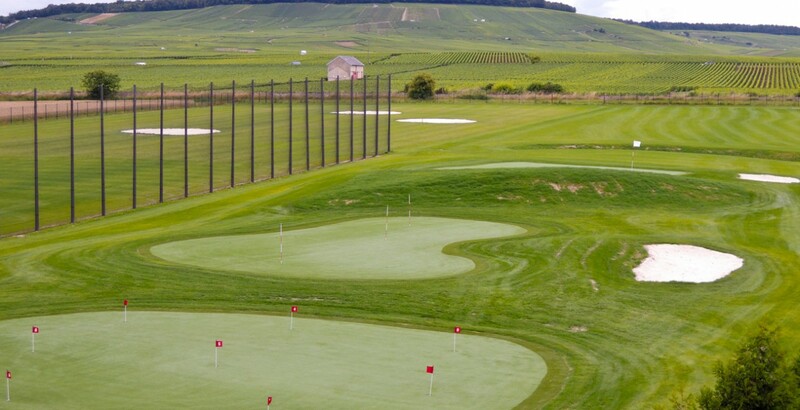 The Golf du Chardonnay is a training centre with a structure which is unique in Champagne. It has something to suit all needs and levels of golfing ability, with: a full-time Pro coach, a Driving Range with 12 bays (including 6 covered bays), a Putting Green, an Approach Green, a training Bunker, and a Compact Course with 6 holes (462 m) starting in the vines. Natural grass course and synthetic turf greens.